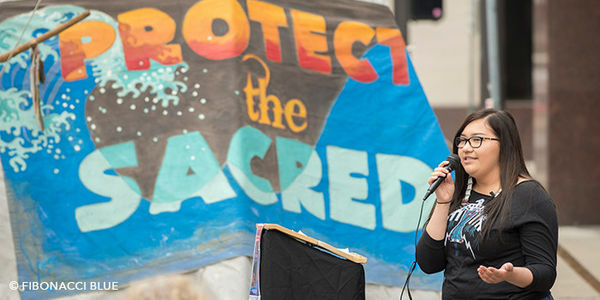 petition: Stop the Dangerous Line 3 Tar Sands Pipeline in Minnesota! Stop the Dangerous Line 3 Tar Sands Pipeline in Minnesota! The major pipeline company, Enbridge, wants to build a new, Keystone XL-sized tar sands pipeline through the Midwest. More than 300 miles of the pipeline would cross Minnesota's lake country, the headwaters of the Mississippi River, and Indigenous treaty lands. This dangerous project puts our climate, water, and communities at risk. Burning tar sands oil creates 30% more climate pollution than "conventional" oil. According to the latest reports on carbon emissions and climate impacts we only have 10 years to mitigate the effects of climate change. We must keep this oil in the ground. We're standing together to build enough public pressure against Line 3 and urge Minnesota Governor Tim Walz to take action to stop the pipeline and invest in renewable energy solutions to safeguard the planet. Tens of thousands of people have joined the #StopLine3 fight. This movement is growing more powerful by the day, and we're only getting started. Will you join us? Sign and ask Governor Tim Walz and Lieutenant Governor Peggy Flanagan to be climate leaders and #StopLine3! It's time to put a stop to the Line 3 tar sands pipeline once and for all. It's a disaster for the climate. It threatens the water and wild rice. And, many impacted Tribes have not given their consent. You have an important role in protecting all Minnesotans from the direct and indirect impacts of this project that will affect so many generations after us. The latest reports on carbon emissions and climate impacts are increasingly grim. We only have 10 years to mitigate the effects of climate change. It's undeniable that the time is now to act. Be a climate leader for Minnesota. Please do everything in your power to stop the Line 3 tar sands pipeline from being built and be a true champion for our climate, water, and treaty rights.